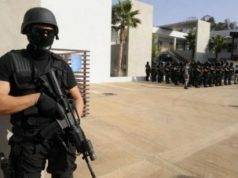 Syrian thugs have overrun our embassy in Damascus. Women can’t drive in Saudi Arabia. Egypt is on tenterhooks again with a rise in anti-Semitism and violence against Christians.Libya is at war. It’s enough to make the most optimistic freedom advocates gloomy. But there are bright spots. As I reported previously, Morocco’s king gave an extraordinary speech last month presenting a new constitution. On July 1, the country voted overwhelmingly to ratify it. But Driss El Yazami, the head of the new independent human rights watchdog agency in Morocco and a participant in the constitutional reform process, knows there is a difference between what is on paper and what exists in the real world. In an interview in Washington, he told me that reforms in Morocco didn’t begin with the Arab Spring. “The rhythm of progress was slow but there was progress,” he said, pointing to steady reforms under the previous and current kings, including a revolutionary Family Code enacted in 2004 that provided for legal equality for women. 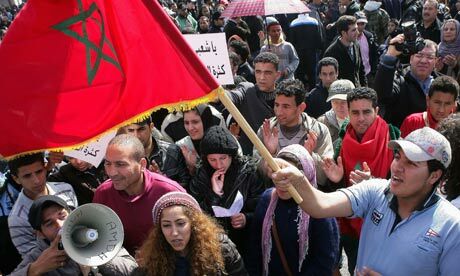 But certainly the Arab Spring and a series of peaceful demonstrations in Morocco accelerated the pace of reforms. El Yazami offered two theories for Morocco’s progress. 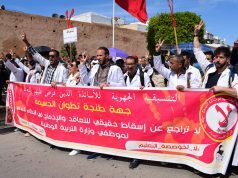 One, he suggested, is that “the Moroccan Spring pushed the king to accelerate reforms.” Alternatively, the king may have “seen an opening” to push for items that had been part of his agenda. 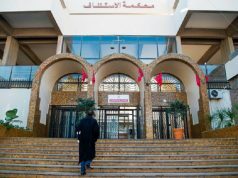 El Yazami said the human rights council that he heads, which was formed in March, is intended “to give a platform for the filing of claims if Moroccans’ rights have been violated. It has the power to investigate and to ask every institution to give information.” He said his group will have access to police stations, prisons, orphanages and other institutions. But the task here, as with the development of an independent judiciary (another element of the constitutional reform), is two-fold. But the second task is even more daunting perhaps. Moroccans need to make the journey from subjects to citizens. El Yazami told me, “The rule of law needs citizens claiming their rights and applying the law.” For example, the new constitution will give parliament the power to legislate in new areas. Will lawmakers take advantage of that? The human rights council is set up to receive complaints of mistreatment, but will Moroccans step forward to report abuses? In a real sense, this is an reenactment of the journey Eastern European countries made when they threw off the shackles of communism. Passivity and contempt for the regime had to be replaced by private activities, insistence on enforcement of the law and exercise of power by new entities to which power is to be devolved. A combination of technical assistance and foreign development is essential for progress to continue. The hope is that foreign investors will be enticed by, among other things, a reformed judiciary and a reliable legal system. Finally, I ask him about the progress of women who will be guaranteed not only equality but “parity” (that is, equal numbers in government bodies). Underneath the legal reforms, he said, there has been a social revolution going on. “Twenty years ago you wouldn’t see a Moroccan woman working in a cafe.” Now it’s commonplace. The change in the status of women is “shaking up society,” he said.